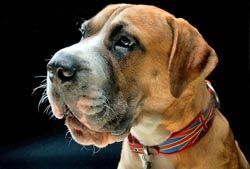 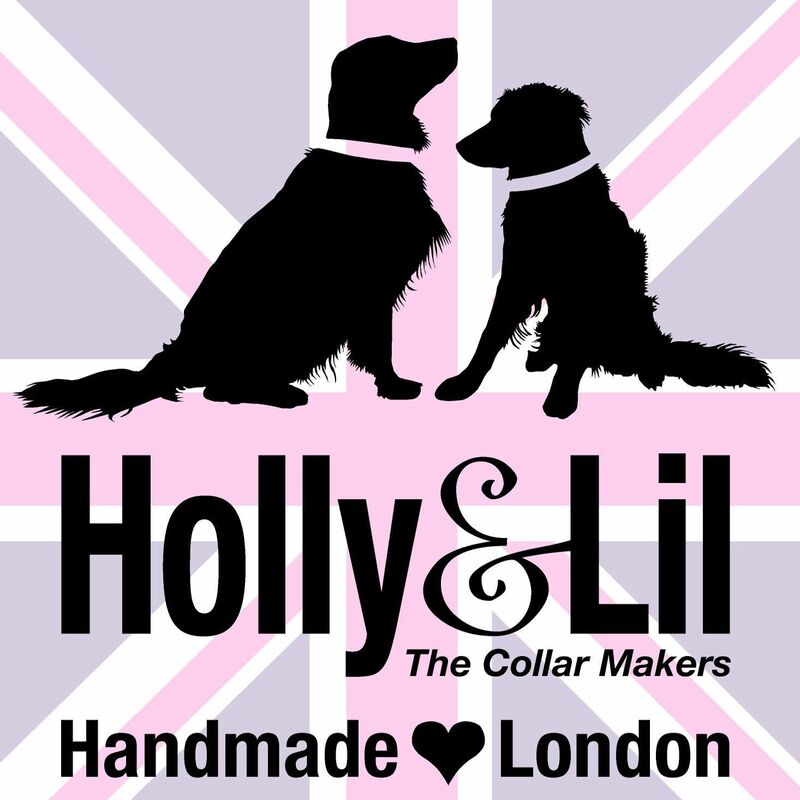 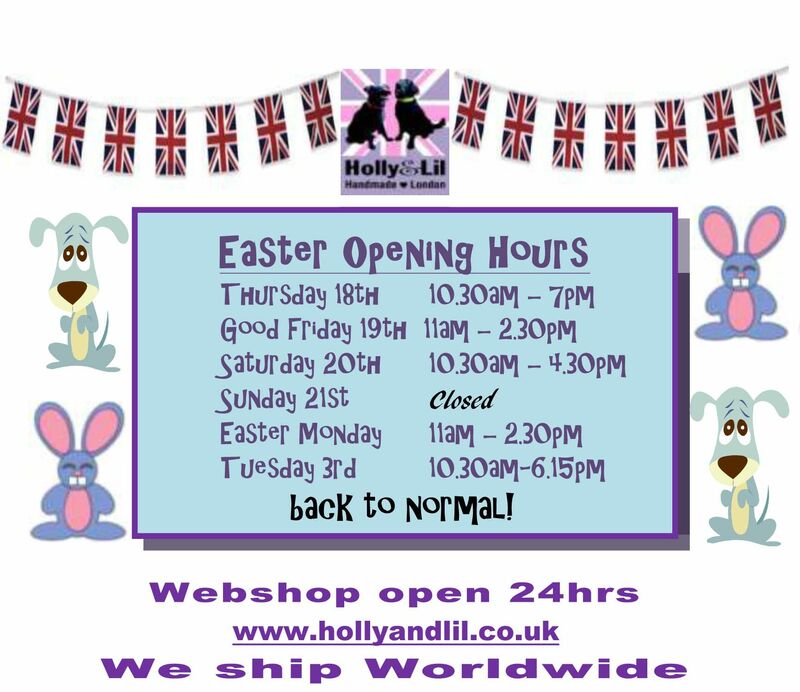 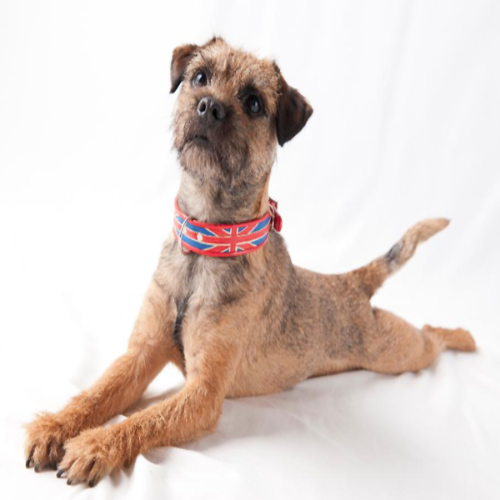 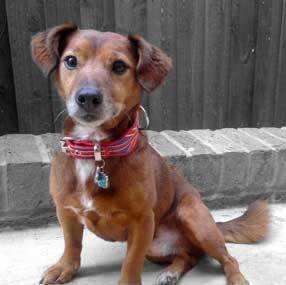 Union Jack Dog Collar - Holly & Lil Collars Handmade in Britain, Leather dog collars, leads & Dog harnesses. 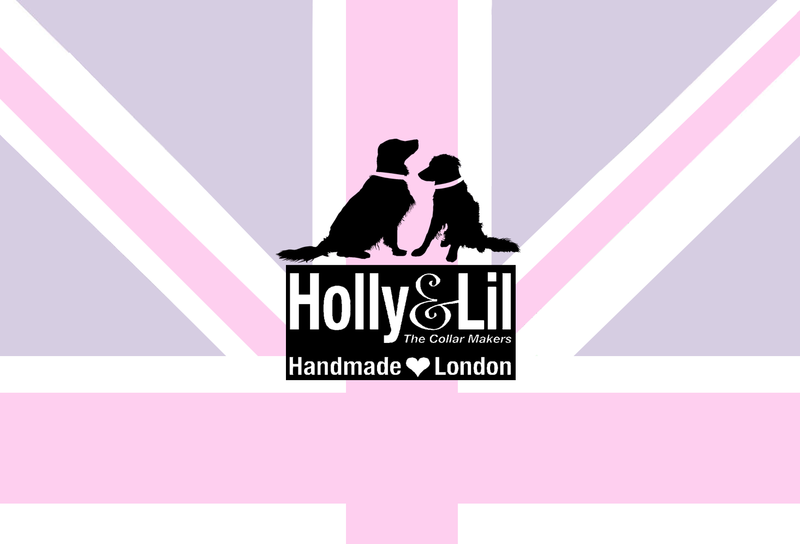 Holly&Lil brings you a new way to Fly the Flag! 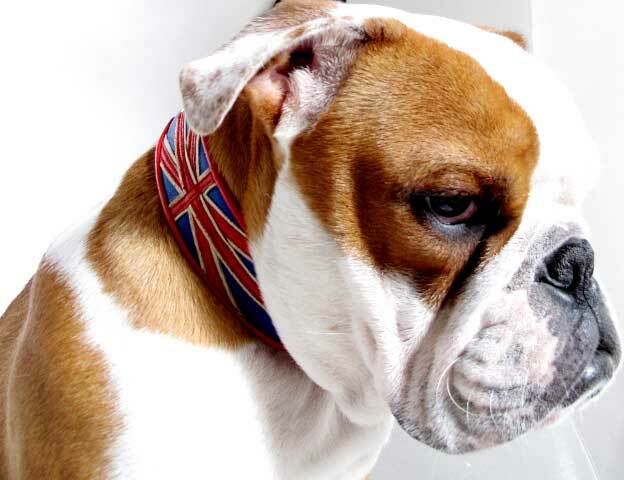 This wonderful Union Jack Flag collar might just be our craftman's finest moment - certainly it is a total work of art. 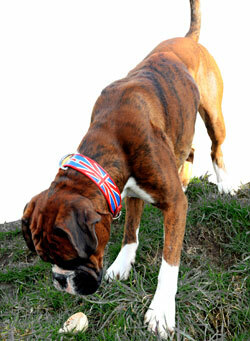 The matching lead has a blue front with a vanilla/red overlay stripe running its length. 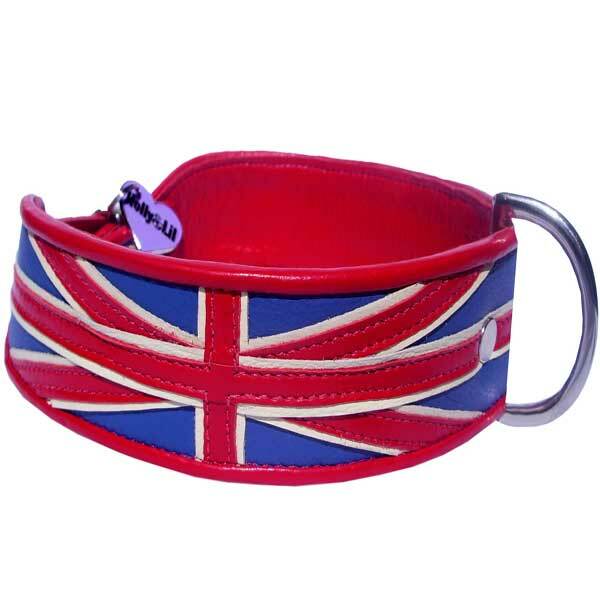 It is backed and piped with red and has blue inside the handle - heaven!